This website (henceforth “this site”) is managing by the Rusutsu-mura tourist association based on the following terms of service. Please read the following use conditions beforehand in use of this site. About a third party’s site linked to the site or this site of the third party who links from this site, it is not under the Rusutsu-mura tourist association’s management. 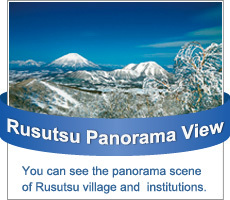 The Rusutsu-mura tourist association or the original work author and other right holders own the copyright of this site. carrying out copy, reproduction, etc. without notice refuses all contents (a text, a picture, etc.). Although the Rusutsu-mura tourist association has paid attention careful about the contents of this site, he can take no responsibility about any damage which arises by published information etc., and inconvenience. The Rusutsu-mura tourist association is performing management of this site. Please give me the inquiry about this site from an “inquiry” page.